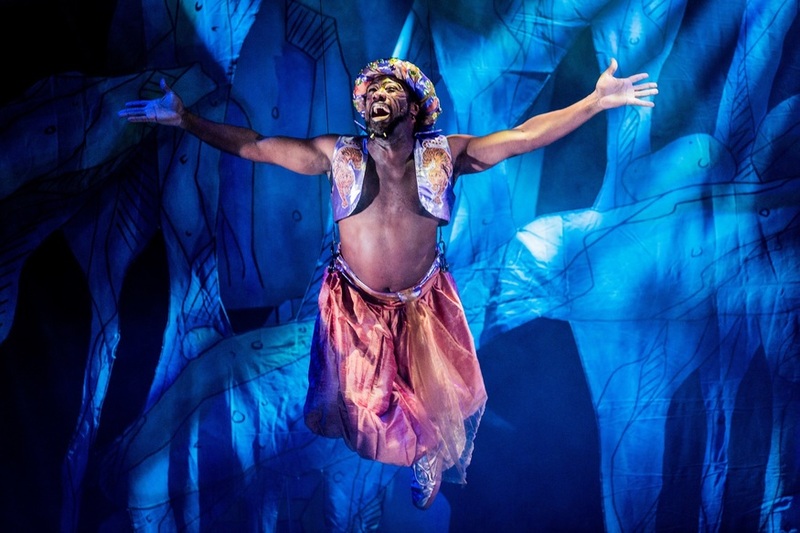 Adults in east London, leave you kids at home... Aladdin at the Hackney Empire is for you. At first sight it's a kid-friendly show, with giant puppets, jazz hands and pop music, but the comedy is filthy — and very topical. From Brexit to the Windrush scandal, it's clear what side of the political fence this director sits on, but it's all done with a wink and a smile. Olivier award-winner Clive Rowe, 3 Non-Blonds comedian and Eastenders star Tameka Empson and theatre veteran (and baddie) Tony Timberlake make the show the riot that it is — with perfect comedic delivery that makes you laugh from the pit of your stomach. But the entire cast is bursting with talent, and it feels like you're watching more of a West End sequel of The Producers (Brexit special) than a panto. Highlights included Widow Twankey's line 'He was so ugly when he was born, the nurse slapped me', an Eastender's star being pulled from the audience to be humiliated on stage and a Destiny's Child medley that would give the band themselves a run for their money on fabulousness alone.